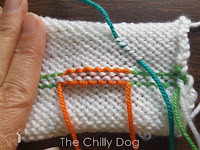 I have yet to meet a knitter that enjoys weaving in the loose ends. 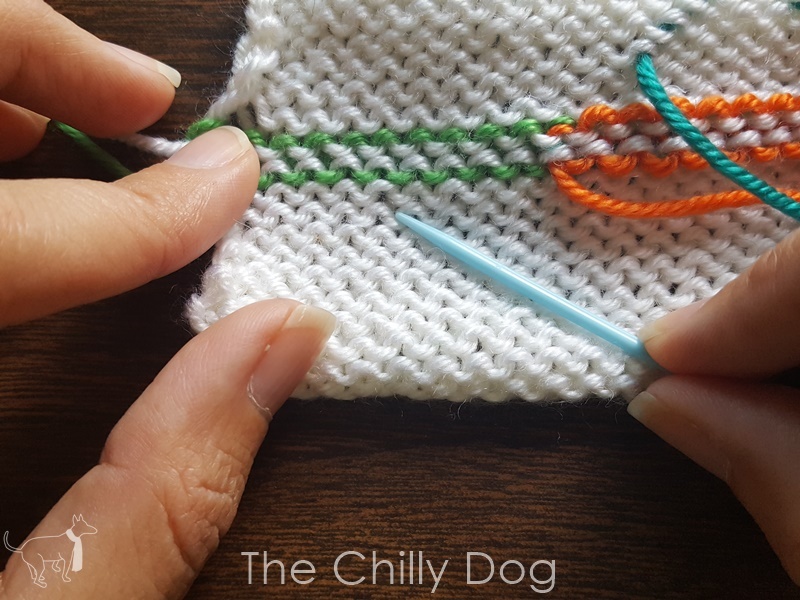 But after spending hours, days or even months creating a knit piece, neatly tucking in those yarn tails is necessary to give your work that finished look. 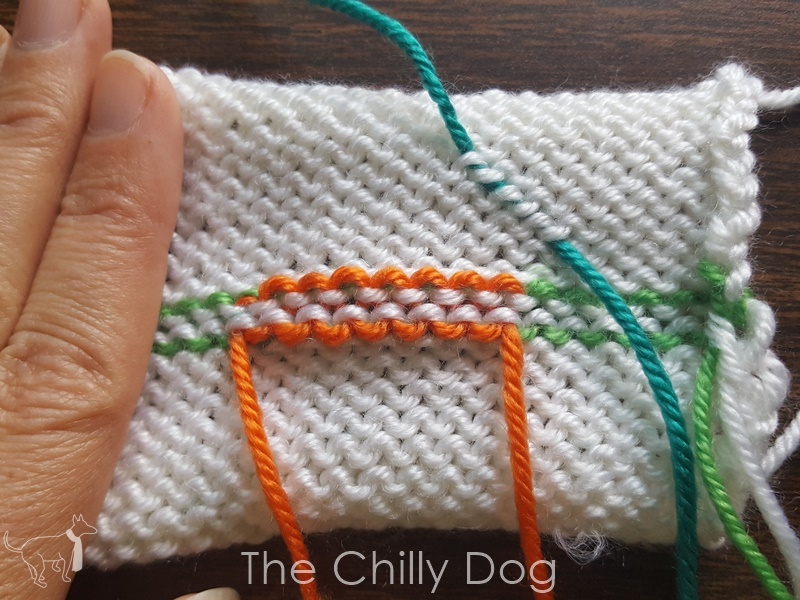 Although some people would strongly disagree with what I'm about to say, there's no single "right" way to weave in the ends. 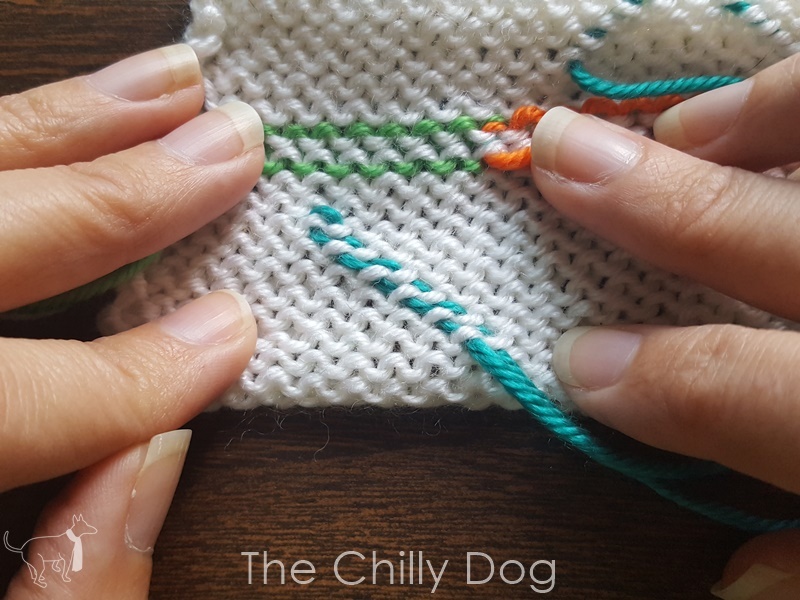 It depends a lot on what you have made, the stitches in your design and the type of yarn you have used. 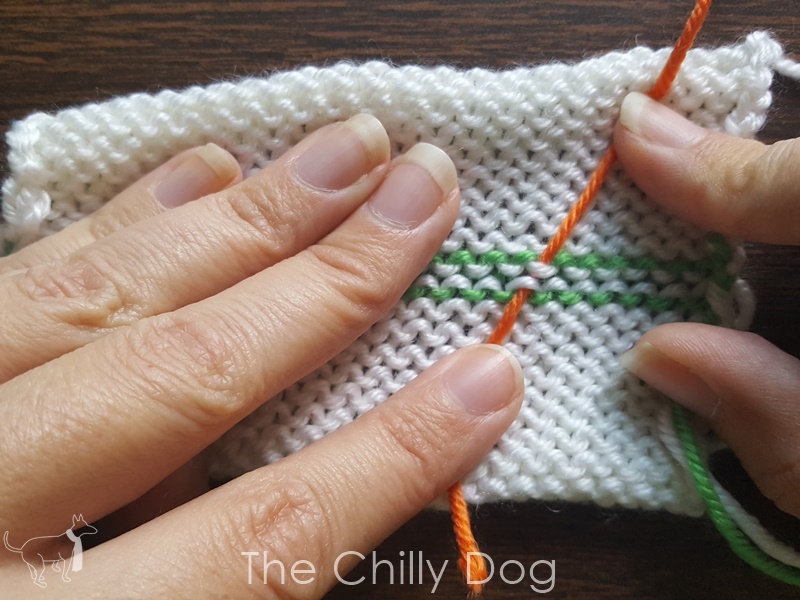 The yarn ends must be secure so your work doesn't unravel after the first wash. 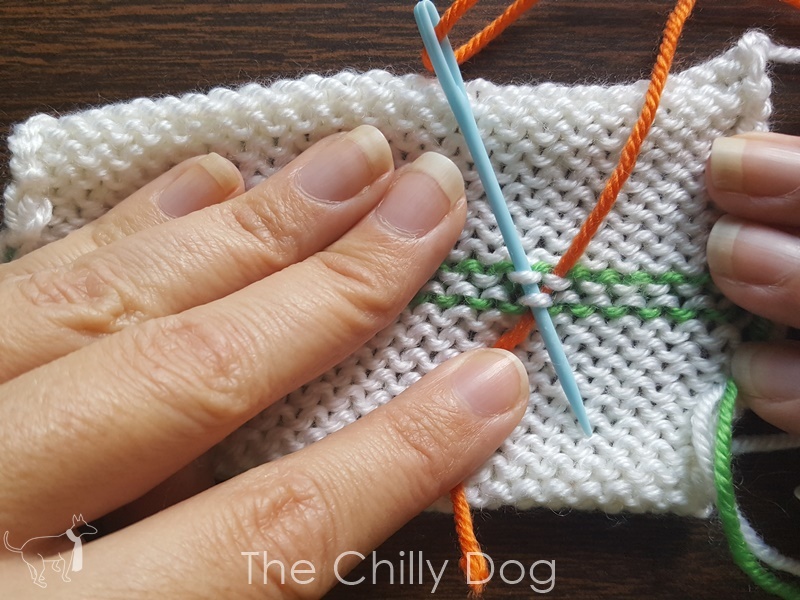 The yarn ends must be inconspicuous so they don't detract from your design. 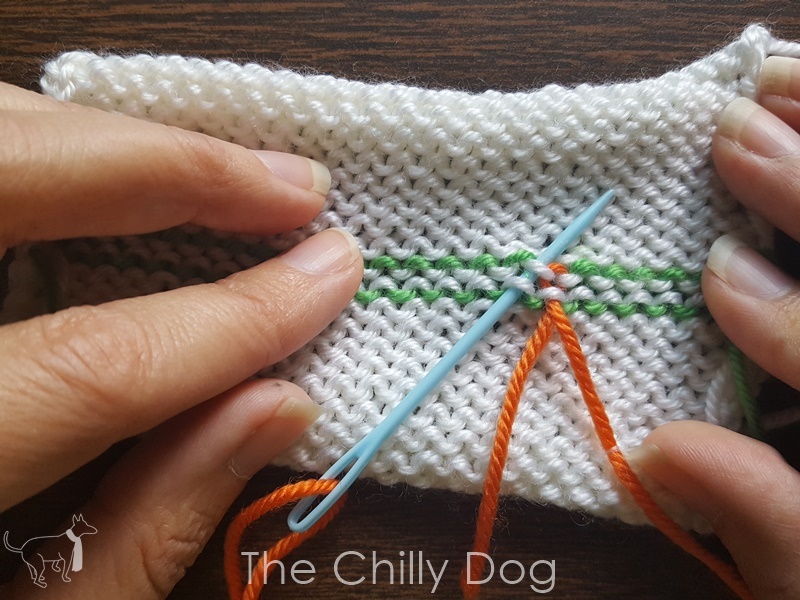 The yarn ends should be woven in so they do not interfere with the elasticity of your fabric. 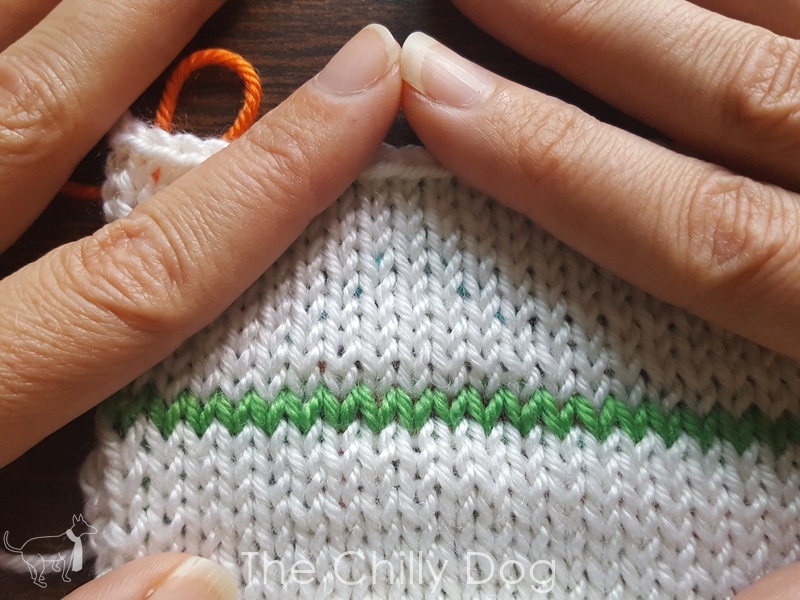 When you are knitting a pieced garment, like a sweater, it's not unusual to weave the loose ends into a seam. 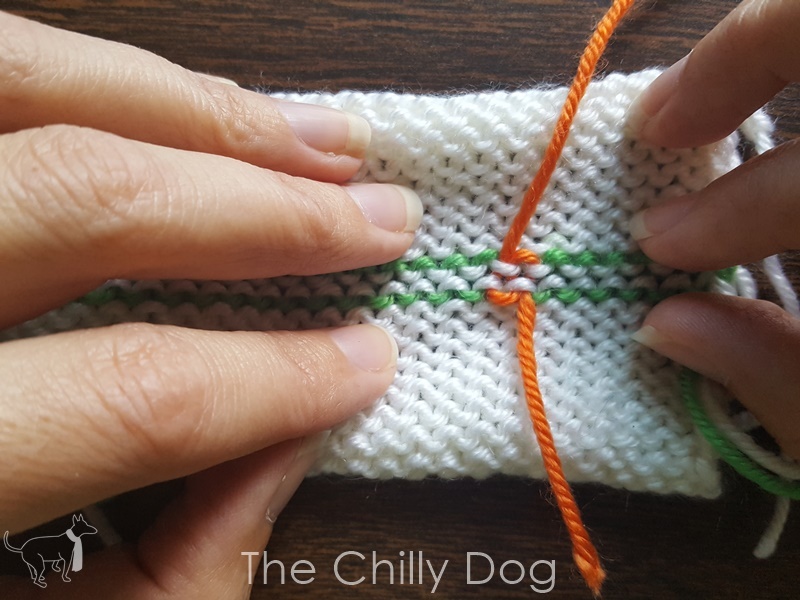 For items like hats, scarves, blankets and socks, it can be a little trickier. I knit up a little stockinette swatch to demonstrate three different ways to weave in your yarn tails - the Duplicate Stitch method, a zig-zag method and a diagonal method. Many experienced knitters will tell you that using the Duplicate Stitch is the proper way to weave in the ends. 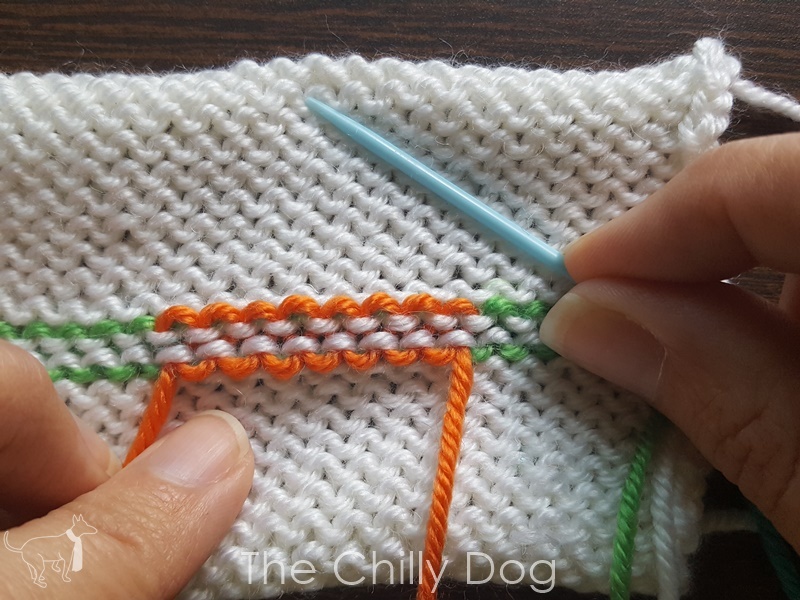 The idea of the Duplicate Stitch is to copy the path of one row of stitches, on the wrong side of your knitting, as you weave in the end of the yarn, hence the name. 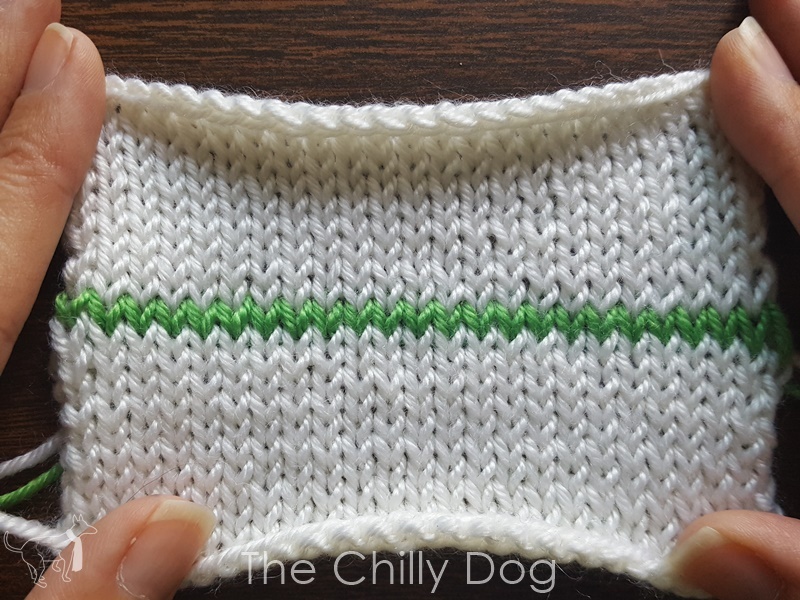 For demonstration purposes I knit one row of my white swatch in a green so you can easily see exactly which stitches you need to duplicate. 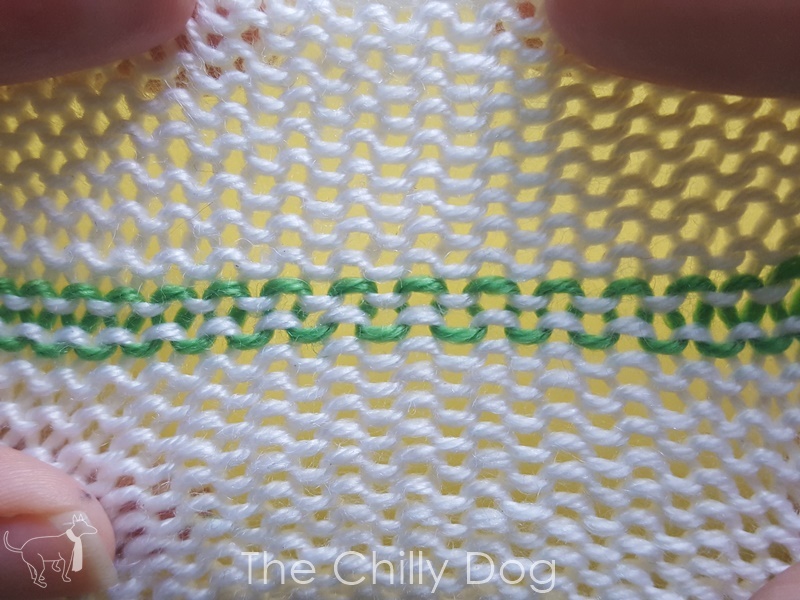 When I stretch my work out a little bit, you can see the path of the stitches. 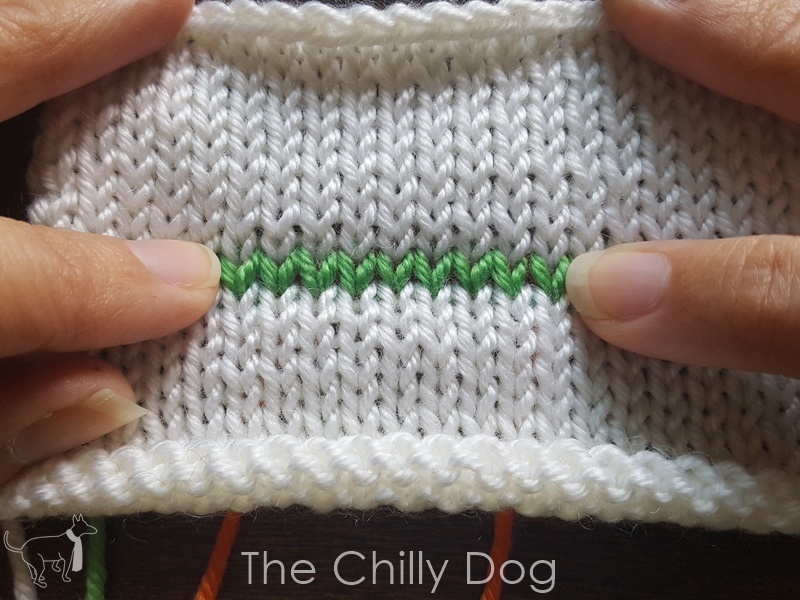 If you look at the non-horizontal strands of the green stitches you can see a pattern, that looks something like this / \ / \ / \ / \ / \ . 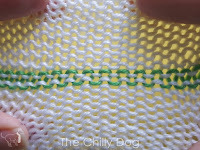 Notice there are two (white) rows of horizontal bars between the top an bottom of my green stitches. That's where the magic happens. 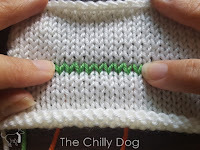 You are tracing the / part of the stitch. Slip your needle down and to the left. 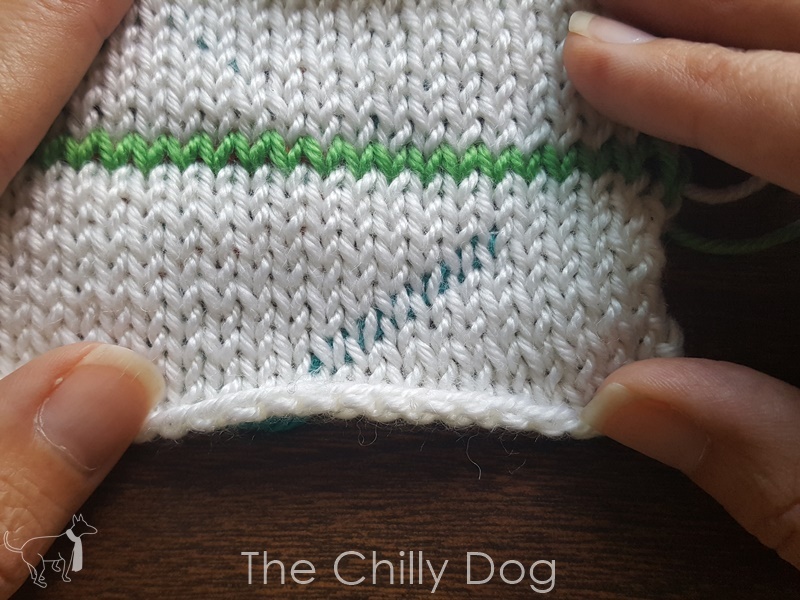 That's the \ of the stitch. Again up and to the right. So far you have \ /\ / . 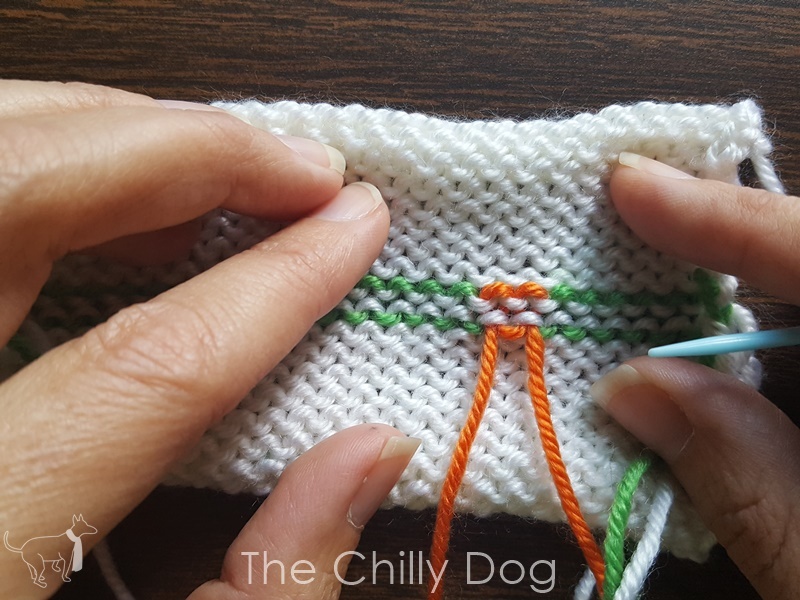 Continue in the same pattern for a few stitches until your yarn is secured. 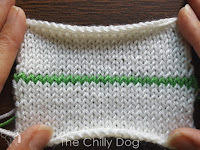 Even though I used a contrasting yarn color, you can hardly see the duplicated stitches on the right side of my sample. The Zig-Zag is my favorite method for weaving in loose ends because it is very inconspicuous and does not add as much bulk as the Duplicate Stitch. I have placed my needle next to the strands that I'll be working into. Lifting one horizontal strand at a time, pull the yarn diagonally through about 4-6 stitches. Then do the same going down in the other direction. 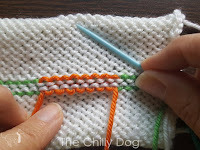 In a real piece of work I would continue my zig-zag on a little farther. 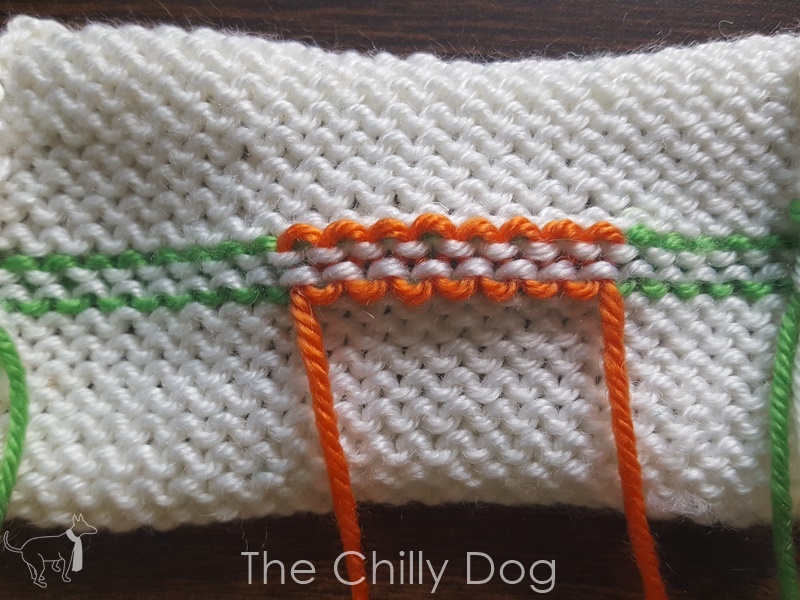 Again, this is the wrong side. 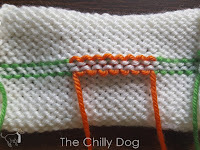 And this is the right side. I have framed the zig-zag with my fingers and you can see the contrasting yarn barely shows. This method is very secure, but it is a little more bulky and noticeable than the other two methods. 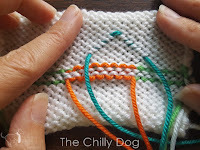 Like the zig-zag, you want to pull your yarn diagonally through the horizontal strands. However, instead of going under every strand on the diagonal, pull the yarn through every other strand. 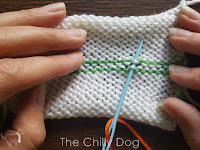 Now, pull the yarn back through the skipped strands. The tension of the fabric holds the yarn tail very tightly. On the right side the weaving is somewhat visible, but this would not be as much of an issue when you are weaving in the end of yarn in the same color. 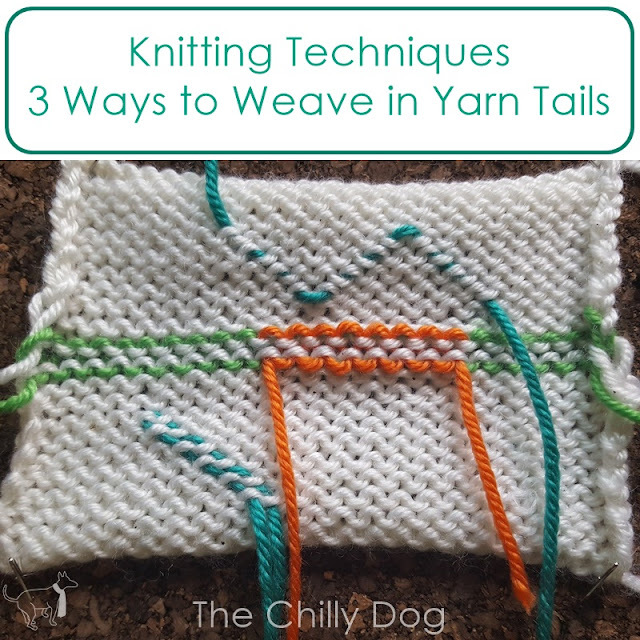 Now finish up those WIPs and UFOs and don't forget to weave in your ends. 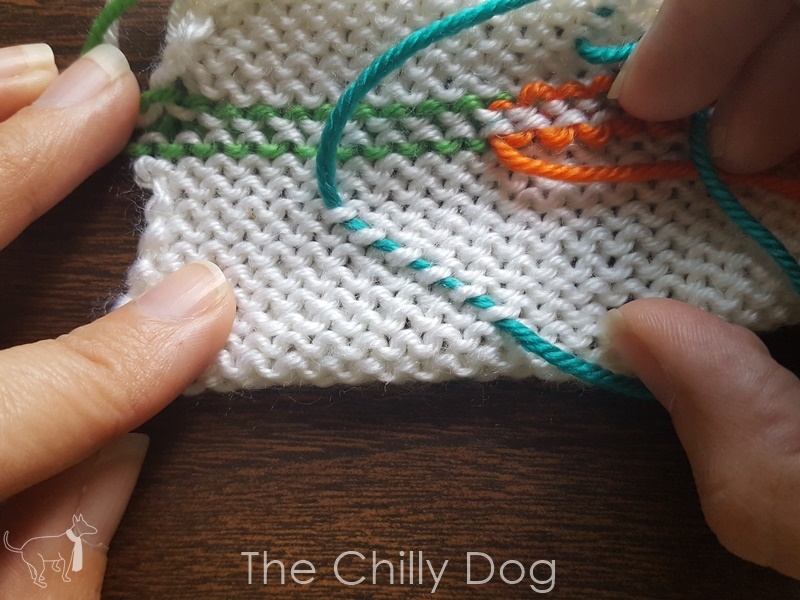 Happy knititng! 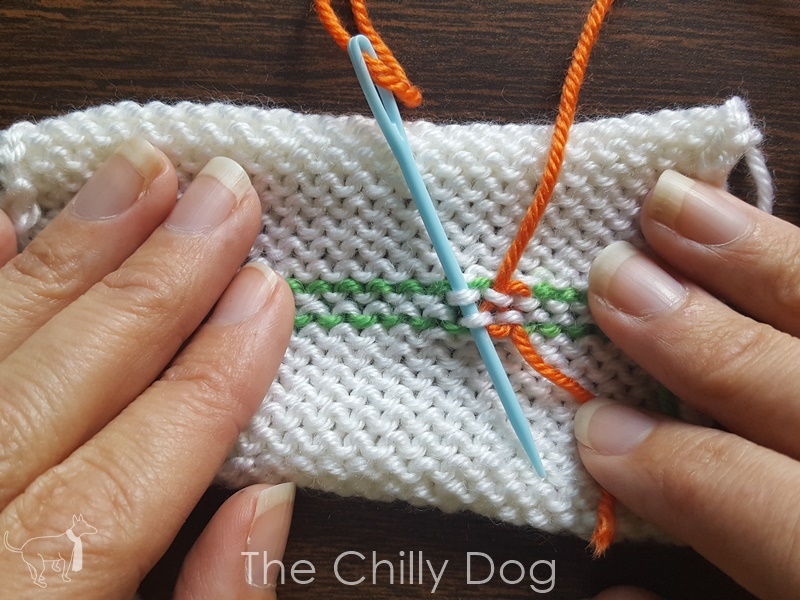 Neatly weaving in the ends of your knitting yarn gives your project a more finished and professional look.